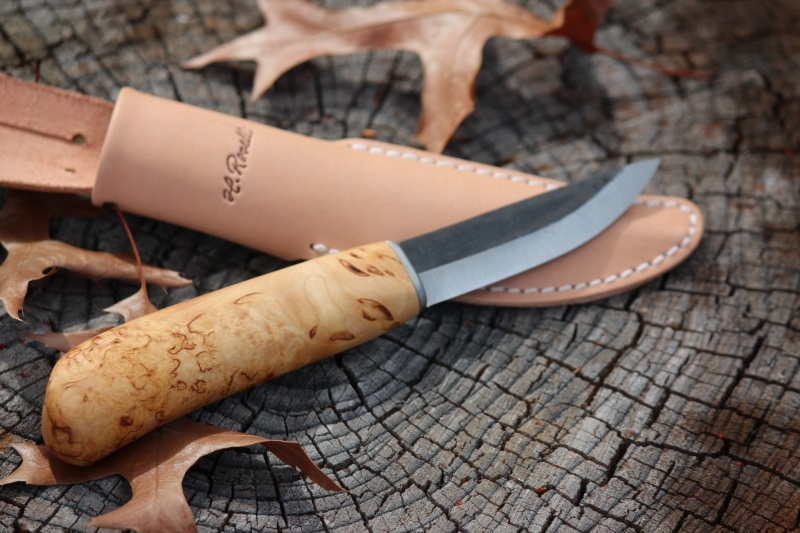 Made in the old way, by a traditional maker in Finland, these are excellent and great to use. It likes wood and seems to want to be used!, its a really excellent and comfortable woods tool. 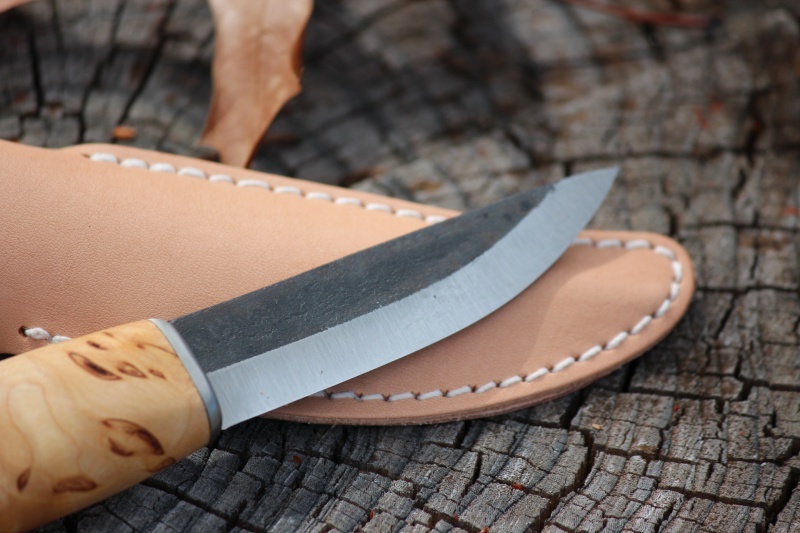 I wouldn't hesitate to use this in any camp job too Curly birch handle, traditional stick tang, forged carbon steel blade, scandi grind, 59HRC. 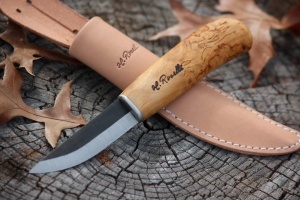 Purchase through PayPal by using the "Add To Cart" button above or use the form below to order the Roselli Carpenters knife . Feel free to contact us if you have any questions about the Roselli Carpenters knife .